Sacred music and dance are powerful tools that have been used by cultures throughout the ages to awaken consciousness, call in power, heal the body and spirit and enhance the celebration of important occasions. For the ancients, dance and music were considered not just for entertainment but as forms of active prayer and worship, a way of communing with the gods and goddesses, of re-connecting with the cycles of nature and with all life. Today in the West, many people have forgotten the true purpose of these arts. We need to reclaim our ancient dance/music heritage, to revive and create sacred music and dance forms that are appropriate for our lives today. This ceremonial song/sourcebook offers chants, songs, dances, simple rituals and meditations to enhance our communion with the sacred and help us celebrate with others. The material is presented by themes along with other text and guidelines to inspire individual and group creativity. There are over three hundred songs and chants in this collection, gathered over many years from various retreats, workshops, and healing/ritual circles. Some have their roots in ancient religions and native traditions; others come out of the human potential, new age, neo-pagan/shamanic movements that have grown in America and Europe since the late 60’s. Some have been created spontaneously by one or more people during prayer, meditation and ceremony. The women’s spirituality movement has also been a rich source of chants. The majority are in the English language, but there are also chants and songs from many global sources including Native American, African, Celtic, Mayan, Maori, Aboriginal and Japanese. The accompanying dances, by Kate Marks, draw their inspiration from folk and sacred circle dance traditions. 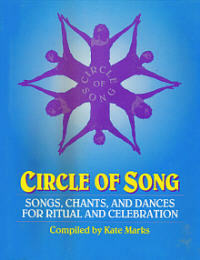 There is a companion Circle of Song CD available with recordings of some of the chants and songs from the book which you can purchase as a book CD pack. 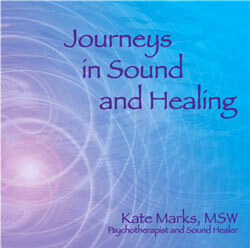 Workshops and seminars on many of the themes in this book can be set up in your area.